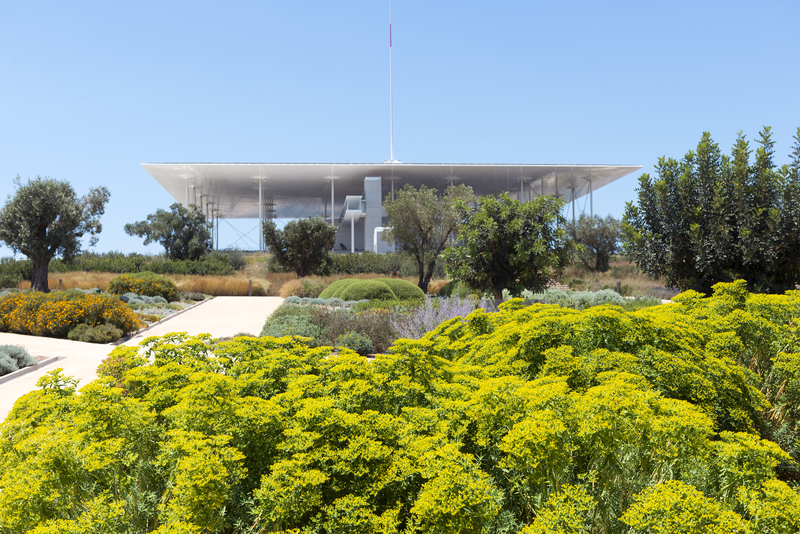 The Stavros Niarchos Park occupies 85% of the SNFCC’s total area and stretches over 21 hectares. 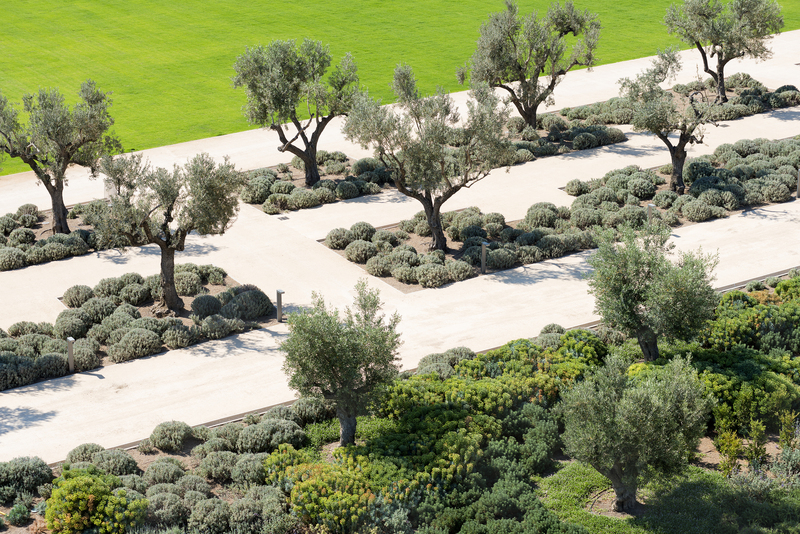 Some of the most spectacular sites of the Stavros Niarchos Park include the Great Lawn, the circular Labyrinth, the water jets, and alongside the park, the Canal. 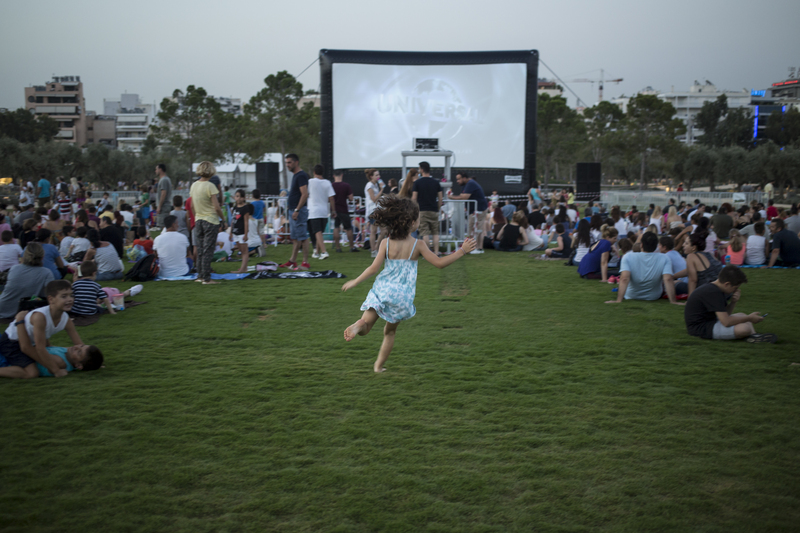 The Great Lawn is the heart of the Stavros Niarchos Park, ideal for hosting a wide range of large events, such as film screenings, concerts, exhibitions, and open-air festivals. 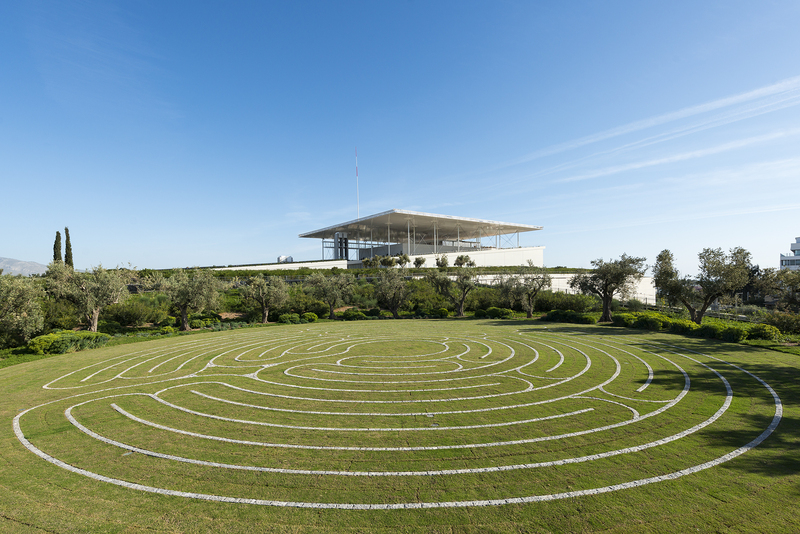 The Labyrinth is located at the uphill end of the Western Walks in the Stavros Niarchos Park. 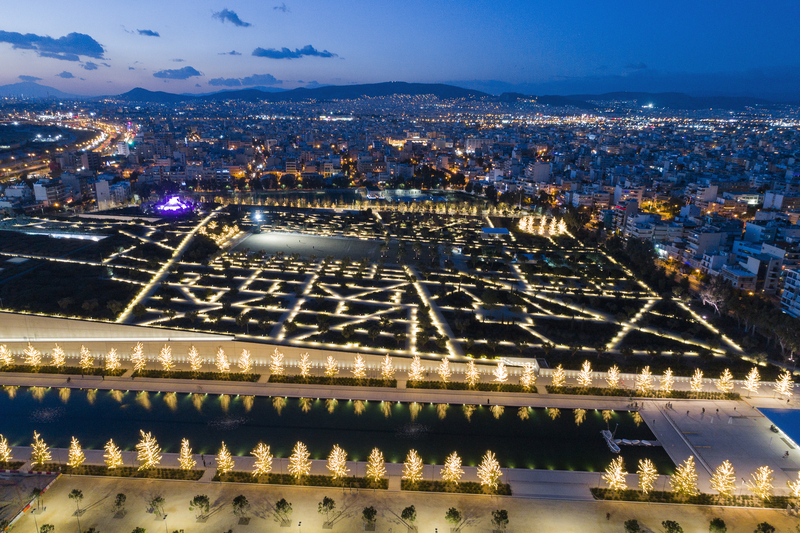 Its circular maze-like motif serves as a symbol of unity and pays homage to the special significance it holds within the Greek mythology. 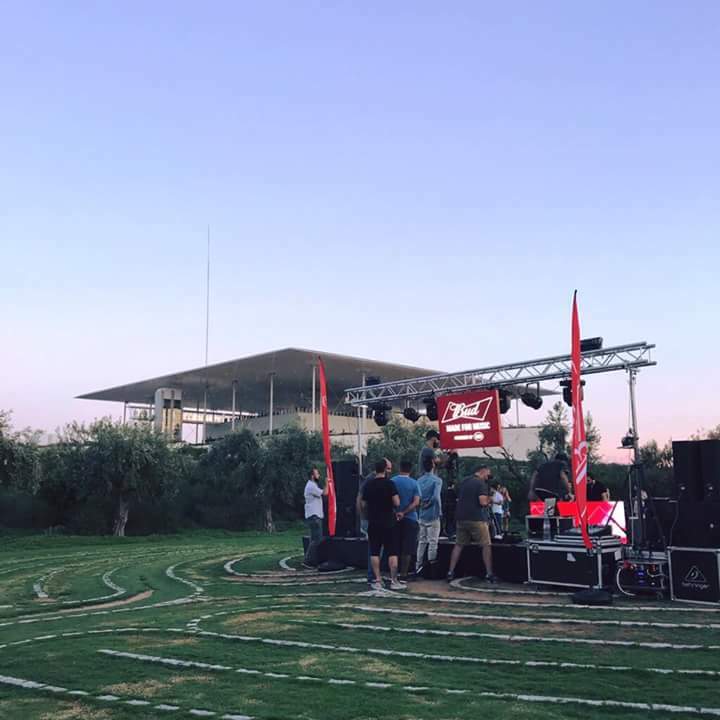 The Labyrinth is ideal for team building events, small concerts, exhibitions and parties. 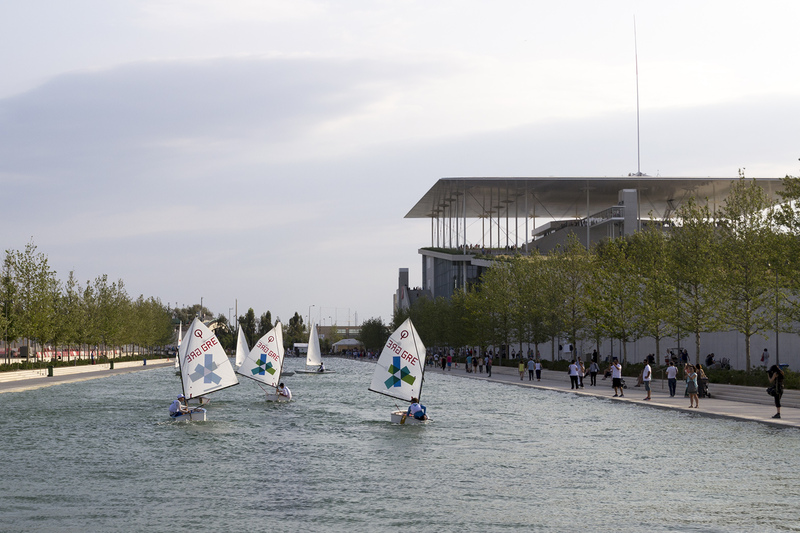 Τhe Canal is situated alongside the Stavros Niarchos Park, one of the most significant elements of the SNFCC. 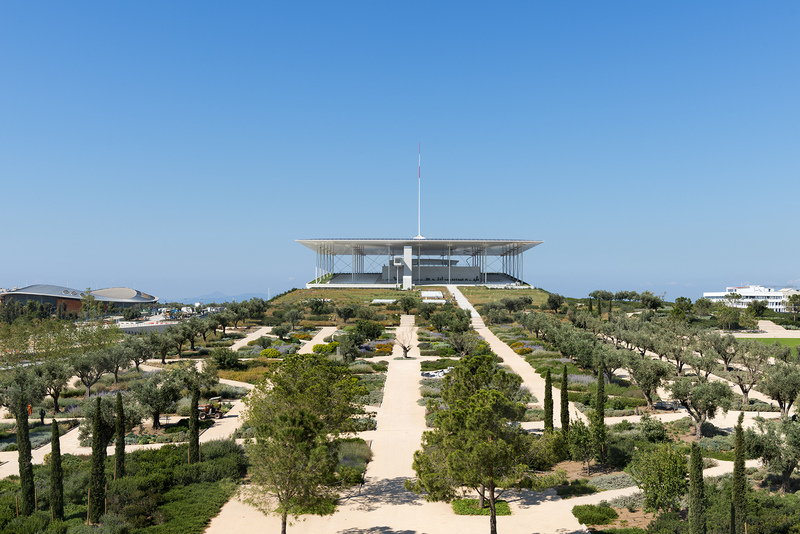 The Canal is 400m long, 30m wide, 70cm deep near the edge and 150cm near the center, creating a symbolic continuation of the sea within the SNFCC. The Canal is ideal for hosting run races, sailing and kayaking races, as well as other types of events that engage the water element.